Exhale Wellness Spa and Detox Delivered invite you to join us on our next Juice Detox and Yoga Retreat! 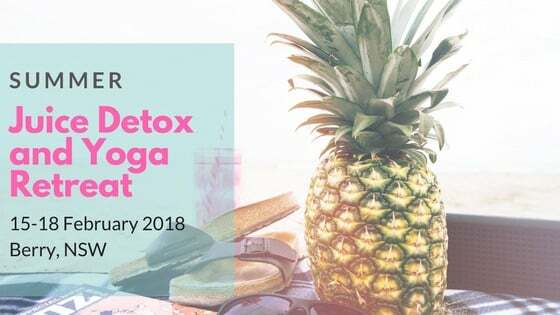 We invite you to join us for a boutique Juice and Yoga Retreat weekend on a beautiful Berry, NSW Country Estate, from Thursday afternoon 15 February until Sunday afternoon 18 February. Give yourself an opportunity to rest, renew and rejuvenate as we head towards the end of a busy summer whilst staying at a luxurious country estate in the midst of all that mother nature has to offer. Enjoy restorative yoga sessions, guided meditations, scenic nature walks, inspiring talks & workshops plus optional massage treatments. Our luxury yoga and wellness retreats find the perfect balance of structured activities that focus on strengthening your body and mind and free time to allow you to set out on your own journey of self-discovery. Whether that involves walking amongst nature, relaxing with a pampering massage, cozying with a good book or simply lounging by the pool. This retreat is open to all levels of yoga experience, all ages, families, couples, friends and solo travelers. We can accommodate food requests and allergies. We have several room accommodations in a beautiful country estate. The home is sprawling and lush to provide the perfect place for a wellness retreat in nature. All Juices, Soups and Nut Mylks, freshly made onsite by Mel of Detox Delivered. Prices start at $539 pp (earl bird) based on double occupancy, perfect for a getaway with a friend or partner! Can you please advise on the Times please. Hi Angela, Arrival time on Thursday is between 3.30-4 and we finish up around lunchtime on Sunday.